Back by popular demand! These evenings provide special attention to each family. You have the opportunity to join in a round table conversation with teachers, parents, and students. After a short introduction by a faculty member, you are welcome and encouraged to ask any questions, raise concerns, and learn more about the NDCL experience in conversation with our admissions director, parent ambassadors, students and administrators. Questions and conversations move in the direction of your choosing. Our experience is that each family has specific topics they want to discuss. 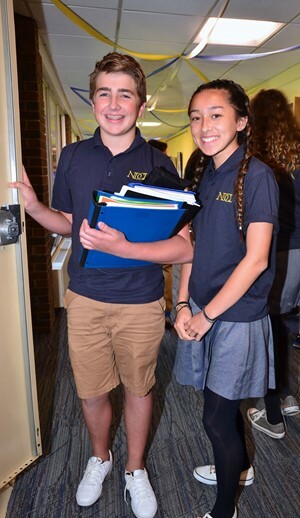 After the round table conversation, students will take you on a tour of NDCL and at the conclusion you will join our guests, teachers, students and parents for refreshments. The personalized opportunity allows you gain important information that will make NDCL your first choice for high school. Do join us!